Post Updated March 21, 2019. We totally get it ~ between school and activities, work and family, you’ve got a full plate. That’s why our semi-annual update of where kids eat free in Charlotte and Lake Norman is crucial, and one of our most popular posts. Join thousands of other scoopMOMS and bookmark this post for stress-free and cheap eats perfect for family dinners out. Editor’s Note: We do our very best to check and verify these deals, but please do call ahead if you need to be 100% sure of anything, as businesses change their programs occasionally. If you do find an error or would like to see a restaurant added to this list, please COMMENT below in the comments section with the information. Thank You! Kids under 12 eat free on Mondays and Tuesdays in the taproom while space permits, 1 free kids entree with the purchase of 1 adult entree. Kids 12 and under eat free with each adult entree. Kids eat free (with paying adult) all day. Kids eat free from 4-8pm with the purchase of an adult entrée. Every Monday, all day, enjoy up to two kids menu meals ages 12 & under for $.99 each when you purchase one adult meal. Excludes ribs and beverage. Dine-in only. 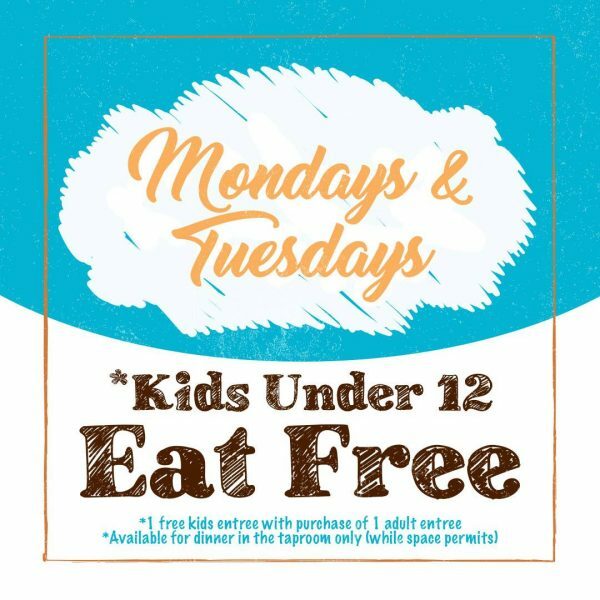 Kids eat free on Mondays. Buffalo Wild Wings – Steele Creek. Kids eat for just $1.99. Monday – Thursday, kids eat free during lunch and dinner, one child per adult. Every Monday and Tuesday from 4 – 9 p.m. receive one free kids meal for each adult meal, minimum spend $5. From 4 – 8 p.m., get one free kids meal per adult entree. Showers’ Elizabeth location offers a kids eat free deal each Monday. Kids 12 and under get one free meal per adult purchase of at least $8.99.